To read our full review of the Panasonic Lumix TZ30, click here. 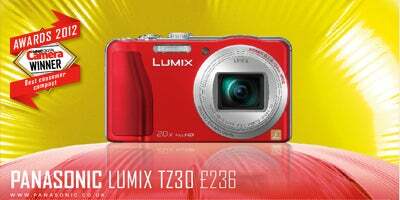 Panasonic’s TZ30 is an ideal compact for anyone who’s looking for a lighter and less cumbersome camera to take away with them on their travels. With 14.1MP, it crams in an impressive 20x optical zoom lens that provides a 24-480mm equivalent focal length. Great for landscapes where you’d like to contain as much in the frame as possible, the TZ30 also allows you to home in on far away subjects, with Panasonic’s O.I.S optical stabiliser technology to keep shots pin-sharp and free of blur. Its 10fps burst mode, full HD movie recording and Raw capture make it stand out against the competition and what’s more it has a large 3in, 460k-dot touchscreen for easy point-and-press control. Reasonably priced at £236, the TZ30 offers excellent value for money and can be considered as a serious alternative to the bulkier superzoom bridge cameras which are out there.